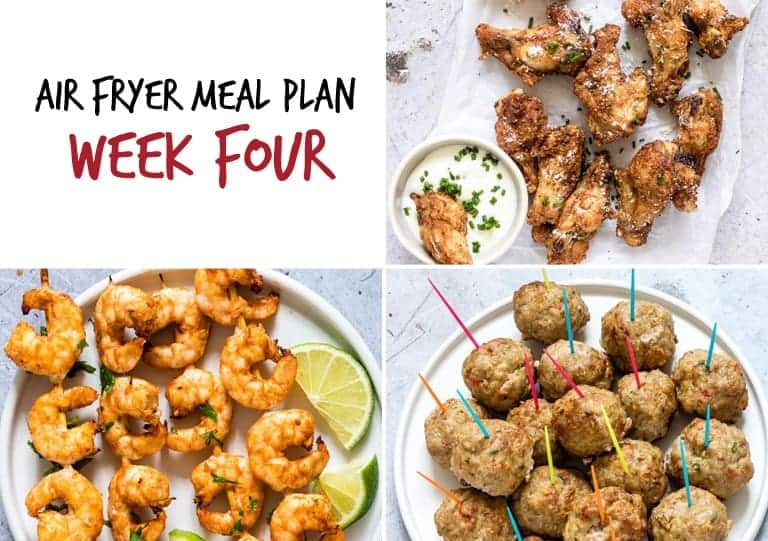 This Air Fryer Meal Plan includes a full 4 weeks of main dishes plus 4 breakfasts, 4 sides, and even 4 air fryer desserts. Follow along as listed, or feel free to switch things up and create your ideal meal plan. 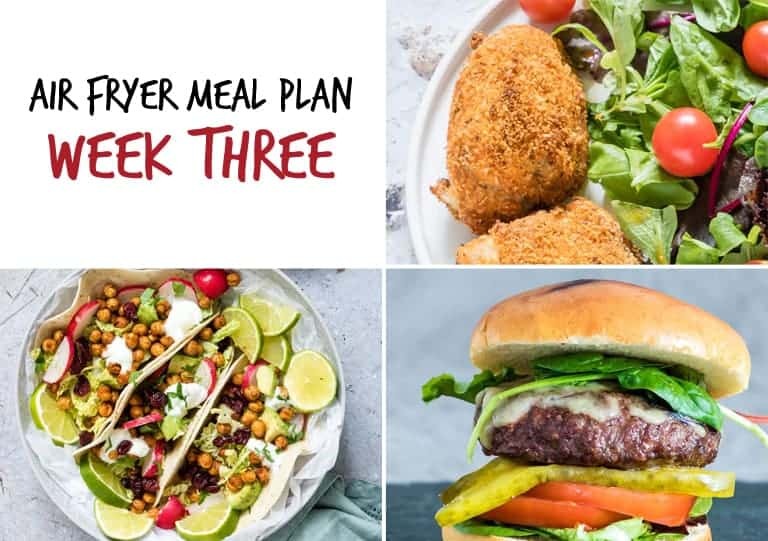 Get ready for the Air Fryer to take your meal planning to a whole new level. And don't forget to sign up and download the handy (and free!) 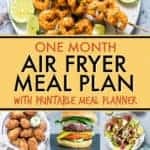 printable versions of the monthly meal plan, weekly meal planner worksheet and grocery shopping list! Dietary trends are also included. As the saying goes, ‘failing to plan is planning to fail’. Well, that is certainly the case in my house. 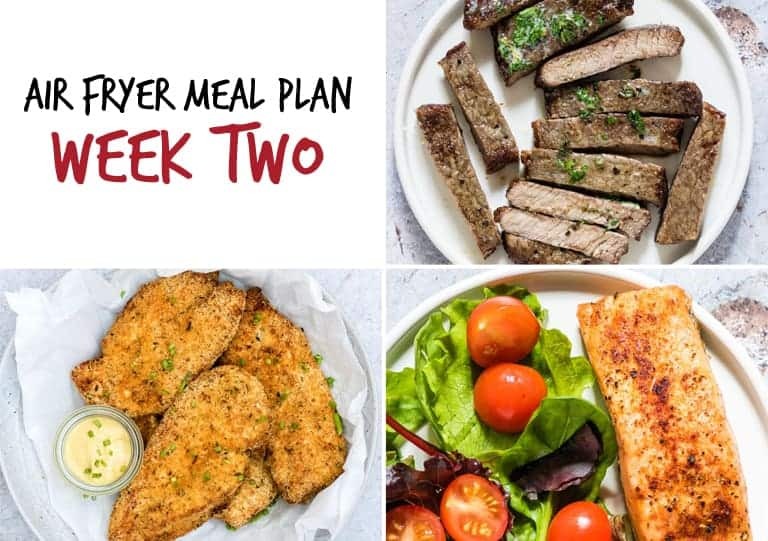 And that is why this Air Fryer meal plan is designed to make your life EASY. Grocery shopping is more efficient. No more last-minute trips to the store for that night’s meal. Saves you time. With a little planning up front, you eliminate all those daily decisions about what to make. Reduces waste by not having to buy extra ingredients at the supermarket ‘just in case’. 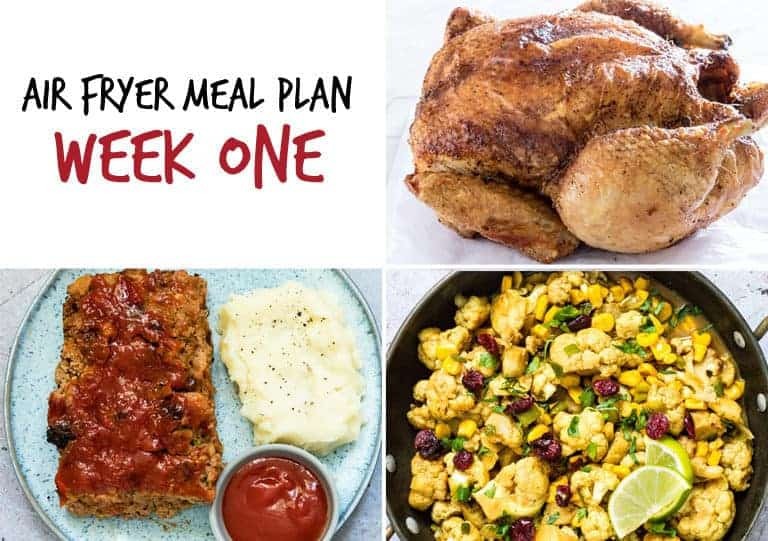 Gets the entire family involved since they can help pick the weekly meal plan order. And since they know what’s for supper they can even pitch in and help in the kitchen. Trying new things is fun. Planning out your meals in advance means you can schedule in some experimentation and have fun making more ‘new to you’ dishes. 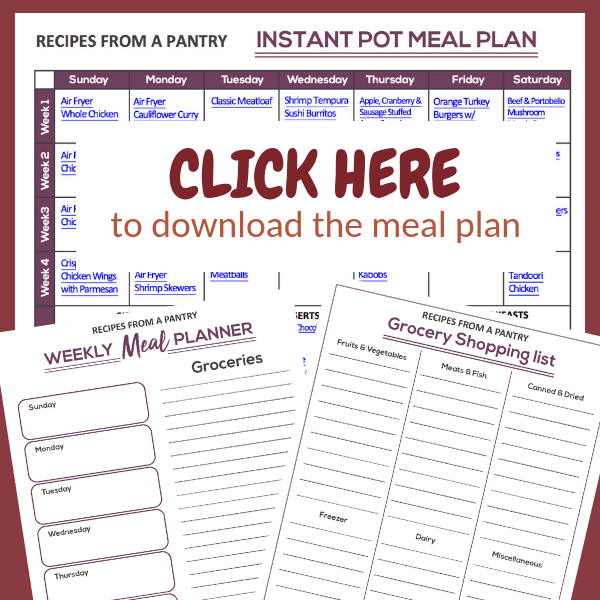 Simply put, meal planning = best thing ever! 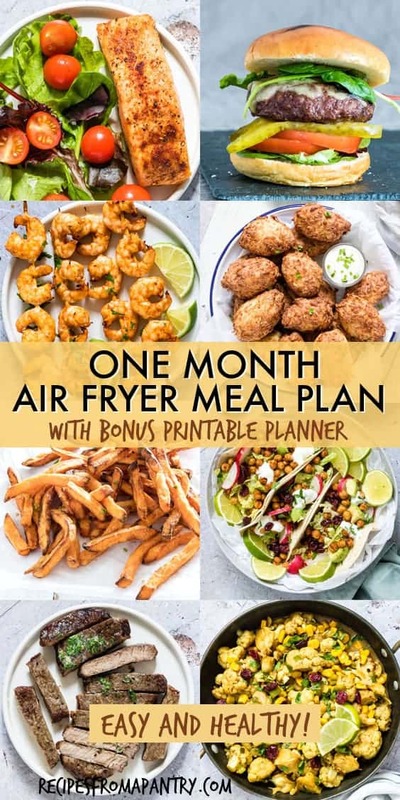 This 13 piece air fryer accessories kit. You need this awesome sharp knife for cutting your ingredients. Use this fun and colourful cutting board. All of my free printables are housed together in my subscriber library. 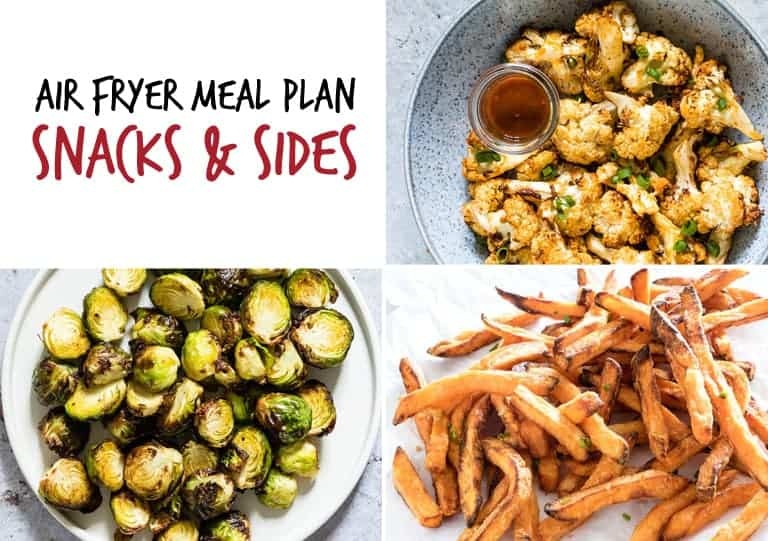 To gain instant access and to get your free Air Fryer meal plan printables, click below to sign up for my newsletter and receive your passcode. And don’t forget to sign up below for my newsletter. 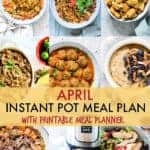 Once subscribed, you can download the printable meal plan calendar, along with the weekly meal planner worksheet and grocery shopping list. Already a subscriber? You can find a link to the library and your passcode at the bottom of every email. 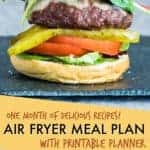 And this round-up of Zero Smart Points Weight Watchers Air Fryer Recipes is full of tasty, healthy recipes that are all easy to make. 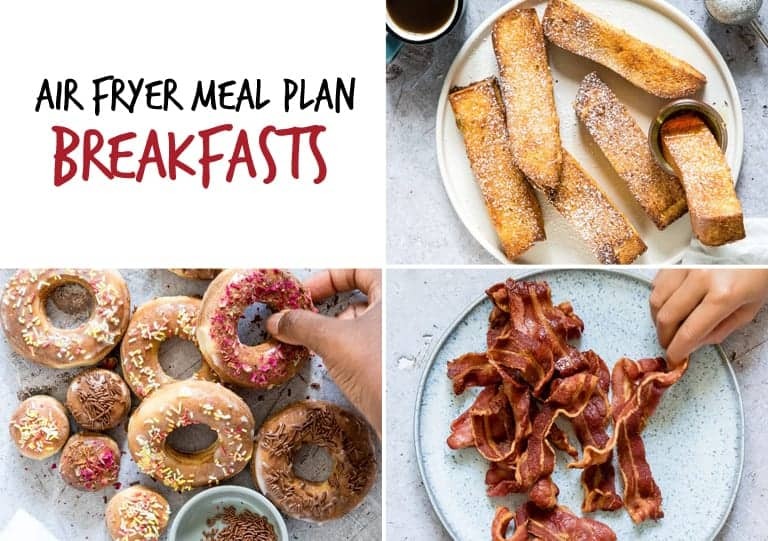 Want to make cooking with your air fryer even easier? 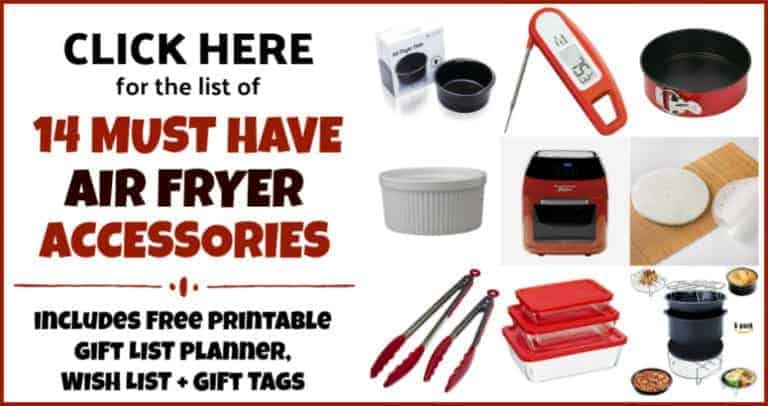 Then this list of 14 must-have air fryer accessories is for you! 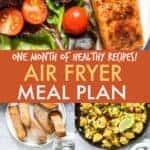 In this post you will also find an assortment of helpful and informative air fryer cookbooks and unique gift ideas that are perfect for all the air fryer lovers in your life. 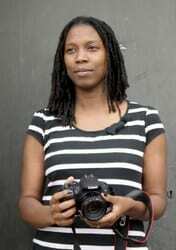 Lots of great choice here Bintu. 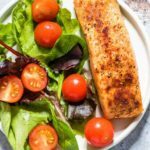 We are obsessed with our air fryer at the moment – especially salmon. Oh my GOODNESS BINTU!!! I love this!!!! You provide the most sensible delicious options!! Thank you!! Thank you. 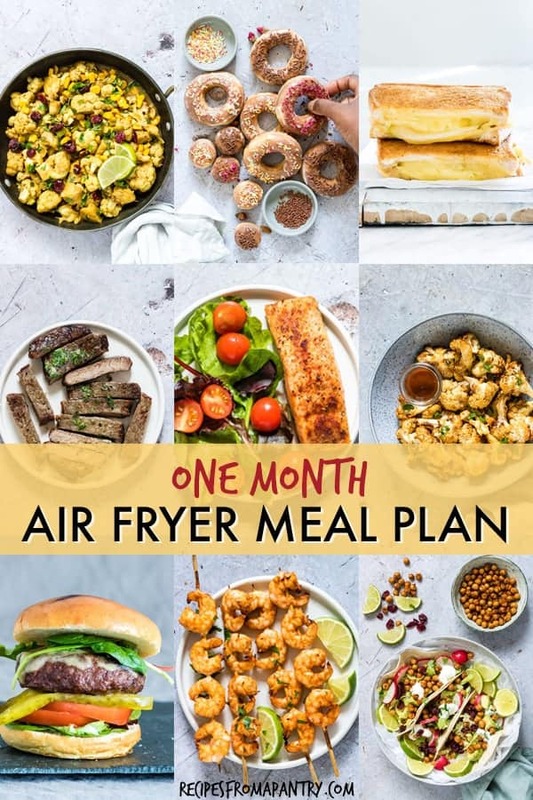 Your recipes looks amazing and will be one I definitely try when I finally get my own air fryer! 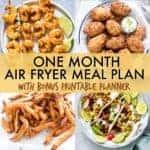 I don’t have an air fryer but I’m tempted to buy one after reading your post. 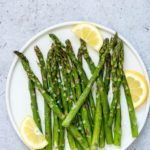 This post is great for people wanting to eat healthy and save money and time. Job well done! 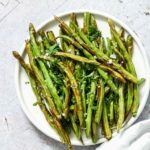 Thank you for this lovely and amazing recipes and being Air Fried so healthy. All the recipes are unique and all look delicious too.